Feds have determined who is responsible for the hacking. Those who hacked Sony Pictures Entertainment - releasing a trove of emails and stealing personal data from company executives - were directed to do so by North Korean officials, a senior administration official told ABC News. The hackers have also threatened to attack theaters screening "The Interview" - a fictional comedy about two Americans who are asked to assassinate North Korean leader Kim Jong-un - leading several major chains to pull the film from their lineups and Sony to cancel its Christmas Day release date. The U.S. used painstaking cyber-sleuthing to piece together what happened, the official said, noting that the individual or group behind the hack were not in North Korea. The official said U.S. intelligence and the FBI pulled all the stops out given the unprecedented nature of the attack that destroyed files, shut down work stations and exploited company secrets and strategy. "Sony Pictures has been the victim of an unprecedented criminal assault against our employees, our customers, and our business," Sony said in a statement provided to ABC News. "Those who attacked us stole our intellectual property, private emails, and sensitive and proprietary material, and sought to destroy our spirit and our morale – all apparently to thwart the release of a movie they did not like." Last week, the FBI held a private meeting in New York with reps from across the entertainment industry to brief them on cyber-related threats against them. 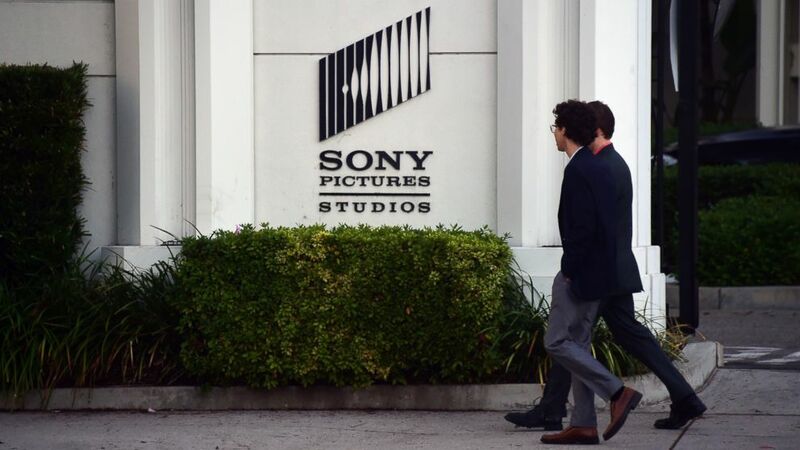 The Sony hack was not the only topic discussed, but it was a major one, sources said. On Tuesday, Guardians of Peace, the group that has claimed responsibility for hacking Sony, posted a warning to theaters showing the movie and for the first time discussed "The Interview" by name rather than relatively vague references. "We will clearly show it to you at the very time and places 'The Interview' [will] be shown, including the premier, how bitter fate those who seek fun in terror should be doomed to," the note released by the group of hackers reads. "The world will be full of fear. Remember the 11th of September 2001." The post adds that people should stay away from places where the movie is shown and "whatever comes… all the world will denounce the SONY." A spokesperson for the National Security Council said it has offered assistance to Sony. "The U.S. government is working tirelessly to bring the perpetrators of this attack to justice, and we are considering a range of options in weighing a potential response," said NSC spokesperson Bernadette Meehan. (Frederic J. Brown/AFP/Getty Images) Pedestrians walk past an exterior wall to Sony Pictures Studios in Los Angeles, Calif. on Dec. 4, 2014. Two former high-level government officials also downplayed the threat to ABC News. "Somebody is playing mind games with [SONY]," said Richard Clarke, cyber security expert, former White House counter-terrorism advisor and ABC News consultant. "I think North Korea has little or no capability to do any physical attacks, commando activity, or terrorism in the U.S. By saying it's coming, however, they hope to keep people from the theaters and, thereby, hurt Sony's revenue." Matt Olsen, former Director of the National Counterterrorism Center and like Clarke an ABC News consultant, said the threat sounded more like "hooliganism" than anything really serious. "You have to take these types of threats seriously up to a point, but this sounds more like a hoax," Olsen said. Another cyber security expert told ABC News that Sony can't rule out cyber-attacks on the locations where the movie will be played, but short of the group having a team on the ground bent on violence, said the wording of the note "sounds like hyperbole." The threatening note was reportedly included in a new batch of emails pilfered from Sony computers, this time allegedly from the account of Sony Pictures Entertainment CEO Michael Lynton. Previous email batches have embarrassed major Sony figures when their personal thoughts, criticisms and jokes about A-list celebrities were publicly leaked. Earlier this month, a North Korean official called allegations that the government was involved in the hacking "wild speculation" but called it a "righteous deed," according to a North Korean state news agency. "[W]hat we clearly know is that the SONY Pictures is the very one which was going to produce a film abetting a terrorist act while hurting the dignity of the supreme leadership of the DPRK [Democratic People's Republic of Korea] by taking advantage of the hostile policy of the U.S. administration towards the DPRK," the article said. Monday the stars of "The Interview," Seth Rogen and James Franco, told "Good Morning America" they never could've predicted the real-world drama surrounding the fictional story. "I can't definitively say I know the ramifications of the storm. I mean, I don't know if the hacking honestly is because of our movie, definitively or not," Rogen said. "I know that it has been the center of a lot of media attention lately. It is weird because we just wanted to make a really funny, entertaining movie and the movie itself is very silly and wasn't meant to be controversial in any way." ABC News' Mike Levine, Lee Ferran and Cole Kazdin contributed to this report.